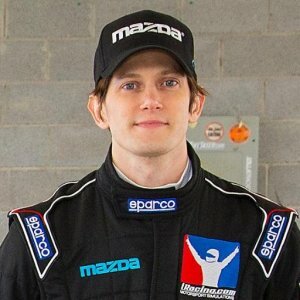 Glenn McGee joins me to talk about sim racing, what he learned from it that helped him move into real racing, what surprises he had when he got to his first car race, what advice he’d give other young racers moving up the ladder, and what the Mazda Road to Indy is like on the inside. Glenn started off being a serious First-Person Shooter gamer, before he moved into sim racing. After winning the iRacing/Mazda championship, he was invited to compete in the Mazda Shootout, which he won. That lead to him getting a funded ride in the Global MX-5 Cup series, where he currently is racing – while working towards racing in open-wheel cars.